Tokunation › Power Rangers › Power Rangers Dino Super Charge Officially Announced! Power Rangers Dino Super Charge Officially Announced! Saban Brands has distributed an official press release for the 2016 Power Rangers season, Power Rangers Dino Super Charge! This press release contains several very interesting details about the future of this series! 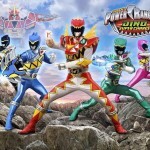 Saban Brands today announced Saban’s Power Rangers Dino Super Charge as the title of the upcoming season of the Power Rangers television series, which will premiere on Nickelodeon in early 2016. This super-charged season will follow the Power Rangers as they continue their quest to unite all 10 Energems by tapping into brand-new battle gear, Zords and Megazords to save the universe. Additionally, for the first time in franchise history, there will be 10 Power Rangers on the same team. Power Rangers Dino Super Charge will also continue to spotlight the series’ core themes of friendship, teamwork, responsibility and helping others for fans of all ages. Fans can watch the current season, Saban’s Power Rangers Dino Charge on Nickelodeon every Saturday at 12 p.m. (ET/PT). All-new episodes of Power Rangers Dino Charge will return this August on Nickelodeon. New episodes of Power Rangers Dino Charge return to the airwaves in roughly two months! In addition, the official images from Saban feature another new upgrade for the Dino Charge Red Ranger: the form known as Carnival in Zyuden Sentai Kyoryuger. Stay tuned to TokuNation as we keep you up to date on all Super Dino News! Direct from Saban Brands entertainmen! Along with an official look at the logo for Supercharge and a certain power up for the Red Ranger!! Los Angeles, CA (June 8, 2015) – Saban Brands today announced Saban’s Power Rangers Dino Super Charge as the title of the upcoming season of the Power Rangers television series, which will premiere on Nickelodeon in early 2016. This super-charged season will follow the Power Rangers as they continue their quest to unite all 10 Energems by tapping into brand-new battle gear, Zords and Megazords to save the universe. Additionally, for the first time in franchise history, there will be 10 Power Rangers on the same team. Power Rangers Dino Super Charge will also continue to spotlight the series’ core themes of friendship, teamwork, responsibility and helping others for fans of all ages. Fans can watch the current season, Saban’s Power Rangers Dino Charge on Nickelodeon every Saturday at 12 p.m. (ET/PT). 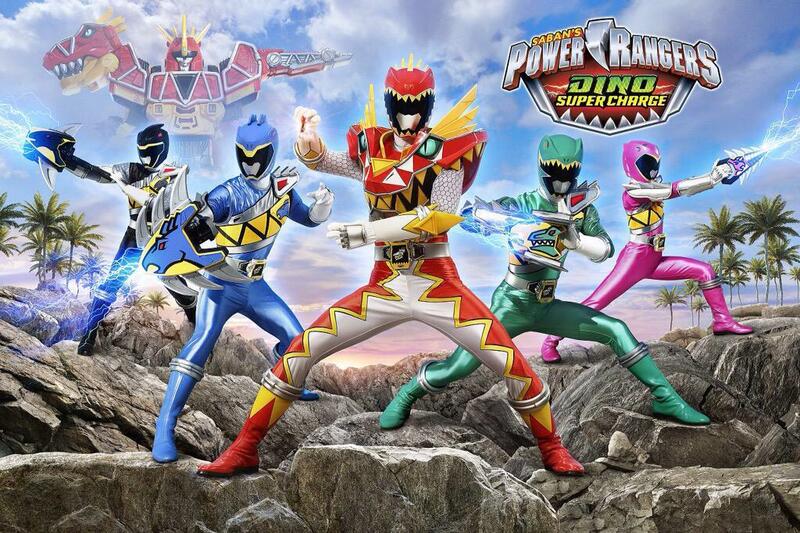 All-new episodes of Power Rangers Dino Charge will return this August on Nickelodeon. For more information on Power Rangers, please visit www.powerrangers.com and follow the brand on Facebook, Twitter, Instagram, Tumblr and YouTube. Saban Brands will launch the upcoming season of the Power Rangers franchise, one of the top-rated and longest running kids live-action series on television, with Saban’s Power Rangers Dino Super Charge in early 2016 on Nickelodeon. This series will deliver action, humor, excitement and entertainment, in addition to the core themes of friendship, teamwork, fitness and helping others. In Power Rangers Dino Super Charge, the Power Rangers will continue their quest to unite all 10 Energems by tapping into brand-new battle gear, Zords and Megazords to save the universe. Saban’s Power Rangers franchise is the brainchild of Haim Saban, creator and producer of the original Mighty Morphin Power Rangers hit series that launched in 1993. SCG Power Rangers LLC, which licenses and merchandises the Power Rangers brand, is an affiliate of Saban Brands. For more information, visit www.powerrangers.com. Carnival! Glad to see that suit made it after all. AND it does confirm we will eventually see all 10 Rangers! wait- the show returns in August?! That's a bit earlier than I expected, excellent! I had a feeling DC would be back in August since it went on break a little earlier than the other seasons. Yay! The Carnival's in town!!! Excellent. Less then two months till Dino Charge returns! Well, with it saying only ten rangers, I hope that there's a chance of Talon for a few episodes, and having a "good" version by the end. I just really want to see all 11 suits next to each other in one fight. Carnival was of course going to always be in the show, and I'm excited to see how they put it in. So I guess Carnival will be treated as a Battlizer mode for the series? Good to know were getting all 10 Rangers. Lets hope they will be in all of the season. Specifically it says 10 Rangers on the same side. I wouldn't be surprised if they make Carnival even more of a cluster**** by giving it an upgrade battlizer mode like Triassic.